Summer is coming to an end and what’s a better way to celebrate all of the fun than with an ice cream sundae bar! Friends and family of all ages will love creating a sweet treat that’s just for them during the festivities. But what do you need to create the ultimate sundae bar? 2. Ice Cream. Obviously you have to have chocolate and vanilla, but will you add other flavors? We recommend sticking with the two classics and adding a wild card flavor like cookies n’ cream, rocky road, or mint chocolate chip. 3. 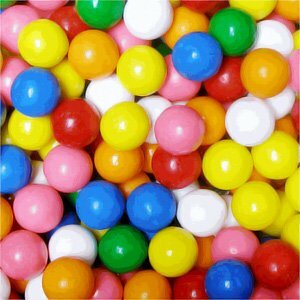 Candy. Here’s where things get fun. Save time and energy by buying pre-chopped chopped ice cream toppings like Reese’s, Butterfinger, Snickers, and more! Also, you can easily add baking pieces. 4. Other Toppings. Chocolate Sauce? Marshmallow Fluff? There’s other toppings besides candy that you can add to a buffet. Crushed up cookies, brownie pieces, and fruit are all things that make ice cream even better. Ready to build your own Sundae Bar? Head over to BlairCandy.com to start building your perfect ice cream sundae. Don’t forget the sprinkles! Fun Flavors of Nerds Candy! – Lime & Pineapple: perfect for summer, these tropical flavors are extra tart and are great while relaxing on a beach. – Watermelon & Cherry: two super delicious flavors in one box! This flavor combo is great anytime of year and makes a great stocking stuffer. – Raspberry & Tropical Punch: these are especially great together for a super fruity flavor. Mix and match together or eat alone for a flavor explosion. – Rainbow Nerds: these are already a pretty colorful candy, but this box takes it to the next level. Try guessing all of the flavors in this box…we’re not sure you can! – Grape & Strawberry: the classic. If you’re looking for the quintessential Wonka candy experience, these are the candies to get. Which flavor will you try first? Don’t settle for one flavor when you can have two! 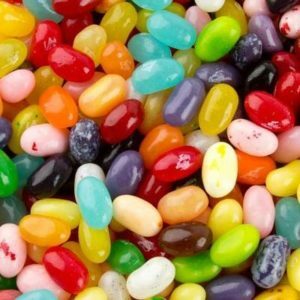 Shop all Wonka candy and get your box of bulk Nerds candy today at BlairCandy.com. – Terracotta Candy Jars: Some basic supplies and a coat of paint make the cutest candy jars! These are completely customizable for the recipient or holiday depending on the paint color and decorations you choose. Once the jar is done, all you have to do is fill it up with the M&M’s of your choice. See how they’re made on the See Jane Blog page here. – Cookie Mix in a Jar: This is great gift that you can make in bulk for your children’s teachers, co-workers, or church group. Each Jar has everything they need to make M&M cookies. All they have to do is add butter, and egg, and vanilla extract and they have delicious cookies! See what you need to make them, besides the M&M’s in bulk at the Celebrating Sweets blog here. 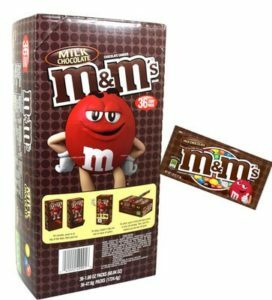 – Candy Wrapper Zipper Pouch: For they candy lover who is also a fashionista, make them a zipper pouch made from an M&M wrapper. This one takes a little more time than some of the others, but is too cool not to try. Check it out on the Recipe Book and More blog. When you’ve decided on a cool M&M craft to try, head over to Blair Candy to pick out the M&M’s for your gift. Choose from the classic colorful M&M’s or try one of the single color bags of M&M’s in bulk to customize your present. Shop now at BlairCandy.com! It may feel far away, but Halloween is closer than you think! 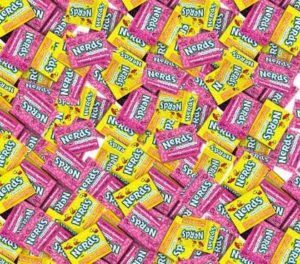 What’s the one candy that all kids (and parents too!) want to find in their candy bags? Reese’s Candy! 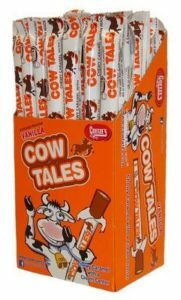 Be sure you have plenty of this fan favorite candy for your trick-or-treaters and for yourself…because let’s be real, you are going to snack on some of the candy too! Reese’s Pumpkins are a fun twist on a favorite! 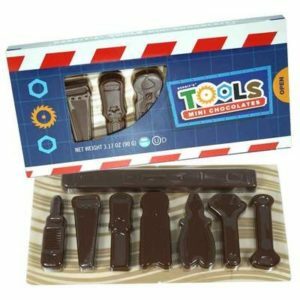 Find them in regular milk chocolate or white chocolate. 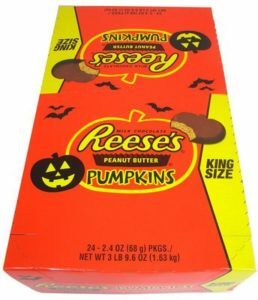 Or, if you want to really make friends on Halloween, get the king sized pumpkins! Love white chocolate Reese’s candy? Then you should get a bag or two of the Reese’s ghosts. Each of these cute little ghosts is packed with peanut butter and has a nice white chocolate outer layer. 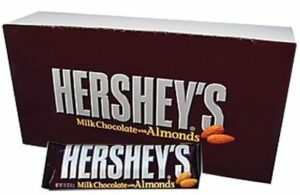 Just want a simple, bite sized Reese’s candy you can put out in a candy dish? Then you should check out our Reese’s eyeballs! Each is a classic Reese’s candy with a neat eyeball wrapper. They may creep you out on first glance though! Get ready for Halloween early with our big selection of candy! 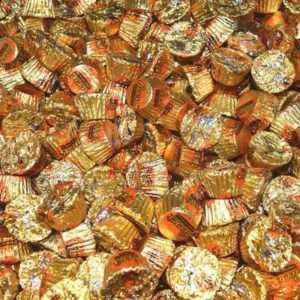 Check out all of our Reese’s candy and more today. 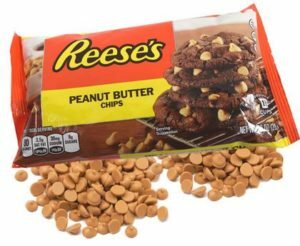 Have you ever had a dessert with Reese’s candy that you didn’t love? We didn’t think so. Every day, we find more and more desserts including everyone’s favorite peanut butter candy. There’s too many to choose from, but here are four recipes that we definitely think are worth trying right now. 1. Frozen Peanut Butter Dessert Pizza. This cool treat is perfect for the hotter days of summer and early fall. See how to make it at The Recipe Rebel Blog here. 2. Peanut Butter Fluff. Everyone will be asking you for this recipe. Serve with your favorite dipping treats and watch the bowl disappear. See how to make this recipe on the Faxo blog here. 3. Blondies. A simple recipe that you know everyone will enjoy. Spice it up with some mini peanut butter cups and you’re set for the next potluck. See how they’re made on the American Heritage Cooking Blog here. 4. Reese’s Banana Pudding. A chocolate lover’s dream. This decadent treat involves a lot of chocolate, bananas, and Reese’s candy. Check out how this recipe comes together on Delish here. Stay tuned for more Reese’s candy recipes! If you can’t get enough Reese’s, find your favorites today at BlairCandy.com.